Sound Quality and Custom iPad/iPod Controls with excellent noise reduction. There is also a 2 year warranty on the Hf3 sets. The ear buds are comfortable and the audio quality is premium grade. The HF3’s microphone is an inconvenience but the sound quality is great. If you’re a fan of the Apple products and you need a set of headphones to enjoy the music on your iPod or to make sure you can hear calls via your iPhone then the Etymotics Hf3 may be all you need. The Etymotics boasts a comfortable ear bud that helps with the already excellent noise reduction built in the set. You’ll find a gift for your purchase in the form of a voucher to help with the expense of custom fitting your Hf3s. When you’re on the go taking phone calls and listening to music, you don’t want to have to worry about whether you can hear the audio or person on the phone. These headphones are engineered to cancel out background noise and raise the quality of sound you hear. You can control the set via 3 buttoned mechanisms that also allows for hands free talking. The microphone is positioned close and the consumer can pause music, answer a call all without removing anything from the pocket. When it came to clear audio quality in the loudest of places, the etymotics hf3 headset excelled. However, the microphone itself was very quiet. Listeners had issues hearing. You can turn up the volume on the iPhone was a quick fix. You may find yourself having to speak louder to be heard. If you want to adjust the sound quality when listening to audio, tinker around with the equalizer panel to try and balance out the sound to your tastes. The liner controls of the etymotics makes it easy to breeze through the basic functions of your Apple devices. The etymotic hf3 headphones have excellent sound reduction and quality. The microphone levels are the only downside to this set. The in line controls make it easy to multitask between listening to audio and taking a phone call. A high quality of audio call is experienced. It is light weight and fits well. The design is simple and handy with a built in mic for receiving audio calls. The music devotion is not good. There is no adapter with the package and does not work with all audio players. The headset and earphones are designed especially for Apple’s iPhone. Complete noise isolation can be guaranteed like other Etymotic products. The voice is clear. The product includes a filter tool with 2 filter replaces, eartips and a case. The sound quality offered by the product is good as the Etymotic products are excellent in noise cancellation due to the well fitness of ear pieces into the ears. There is a single 3 way button because of which you can answer your audio calls, manipulate music files etc. The eartips are made up of silicon and are capable of noise reduction. Four different types of eartips are included in the box. There is a conductor plug that makes the product compatible with Apple and Blackberry iPhones. First click on the button results in pausing the music and another click resumes it. Second click is for skipping a particular music track and third for going back to the previous track. There is a 2-year warranty with the system. The noise isolation capability is top notch making the sound quality some of the best period. It’s fully portable and comes with its own pouch for storage and travel. The look is clean and sleek. The headphones come in three distinct colors. The fit of the bud itself may not be the most comfortable of fits. Great noise isolation, Nice Colors, Slightly uncomfortable ear piece. We love the design and the audio quality is superb. The downside of the hf5 earphones is the fit. 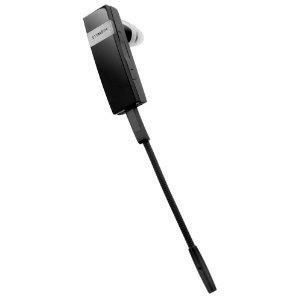 The earpiece itself is long and may not be comfortable for every user. 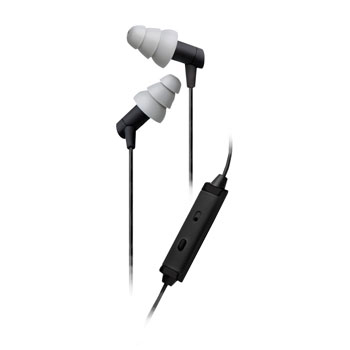 The length positions the ear buds deeper into the ear canal which also may not be the best feature for some consumers. They tried to remedy the issue by including a few exchange options like the silicone pieces and foam plug. However, all of the exchanges are just as long. 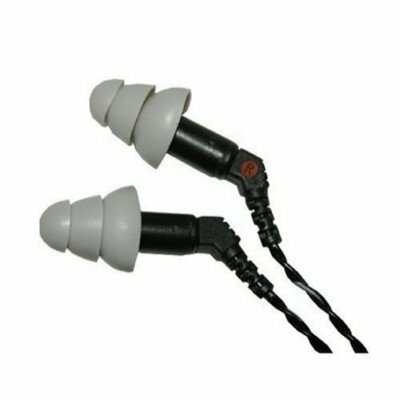 The advantage to the deeper inset ear bud is that it is not visible nearly as much as other round, bulb designs. For some it may be the perfect answer to discretion. Other buyers may find the fit intruding and uncomfortable. The product exceeds in removing the surrounding noise while listening to some audio. The sound quality is as high as you would expect from them. It does not need any batteries. They can be used for any audio device. The cable which comes with the earphones is not strong. The Etymotic portable in-ear earphones are great when it comes to sound quality, mixing audios and for decisive listening. The noise reduction is excellent. They are the best earphones for live listening. Starting with what the system includes, the box contains ER-4P earphones, 5 feet cable with 3.5 mm stereo phone plug, adapter plug, 4 ear tips of standard size and 2 of small sizes, 4 foam ear tips and 4 glider ear tips, 4 filters for replacement, shirt clip, pouch and a case. The earphones are designed in accordance with the ear’s responses. They can be used for plugging into any audio device like CD, DVD, and MP3 etc. They does not require and external sound amplifier. They are highly sensitive and the bass quality is excellent. 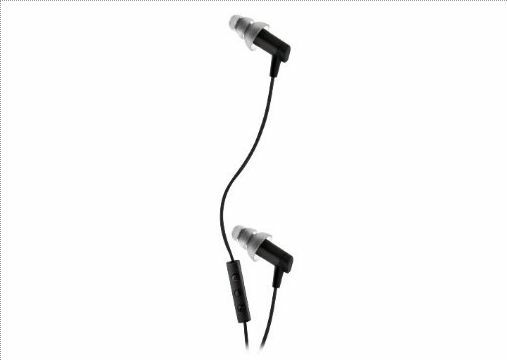 The noise reduction with these earphones naturally occurs as soon as you insert them into the ears. Unlike other earphones, it does not require any batteries. Eartips included with the product also helps in noise isolation. The external or surrounding noise is lessened to an extent to zero outside noise which also helps in better listening of the audio. The drawback lies with these earphones is the quality of the cable. The cable isn’t strong enough and breaks too often. The good thing is the cable of ER-4P can be replaced or repaired. 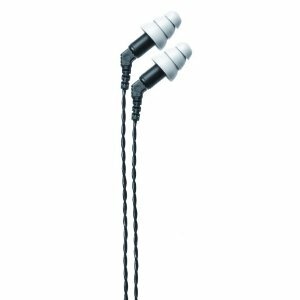 The price is high, but makes it good enough to be spent when you check the advantages of these earphones. The sound quality is good. These are good in sound isolation. After a long run, they can prove to be uneasy for the ears. The spare filters included are used quite often, means they are easily accumulating dirt. They are not appropriate for mobility. The headphones provide a good sound quality and provide excellent noise and sound isolation. The headphones can prove to be still new and strong after quite a long run usage. The package includes ER-4S earphones, cord with stereo plug and adapter, several eartips both flange and foam, filter replaces, shirt clip and a case. The earphones are so designed that they reduce the noise from the audio. There are eartips with flanges that are used for the same purpose. They are fitted into the ears securely. The correct insertion of the earphones inside the ear makes the sound quality better but if they are not inserted properly, the audio quality is still good. Additional ear tips are included which includes flanged and foamed ear tips. If the standard ear tips do not go inside the ear well, these ear tips can be used instead. The adapter increases its adaptability with different media and the shirt clip secures them with the shirt without the overhead of handling them. The storing case is a soft zipped pouch which can easily be carried while traveling. The cable has some issues. Also it takes some time to check which ear tip is well suited for you. The earphones offer poor portability. The Bluetooth headphones have the best audio of microphone and telephone quality. It can be easily charged and is excellent in noise reduction and cancellation. The price tag is extremely high. The earphones are not soothing to ears. The earphones are popular because of their high end noise cancellation characteristic. The sound quality is good as well. There are some reports about earphones being not comfortable for the ears. The product is another ‘noise cancellation’ and ‘noise isolation’ item from Etymotic. The eartips are made up of silicon that fits well into the ears. This fitting into feature helps in noise reduction. The foam ear tips are also included with the package. These also offer a tight fitting into the ear and, hence, no outside noise reaches the ear. 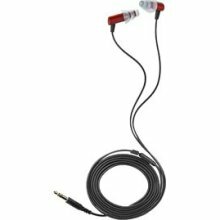 The package includes dual mode noise isolating headset, earloop, case, USB charger, replacement filters, windscreen and quick connect mic. The audio quality is top class. The voice is clear. The headphones can be charged easily with a USB port. And a 2 year warranty is also available. The talk time is approximately upto 6-7 hours. There are some complaints about the earphones. The users have said that these earphones are not soothing and are uncomfortable. Another drawback lying with these earphones is the lack of their ability to pair up with certain audio devices..